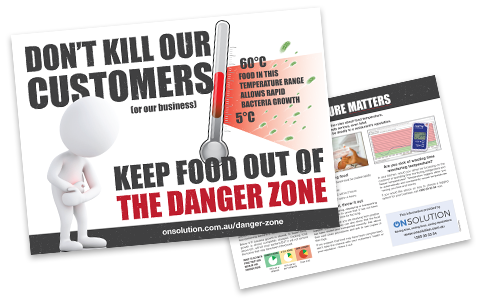 To help you keep your food out of the Danger Zone, we have produced a FREE information sheet for you to print out and display in your kitchen or other food handling area. 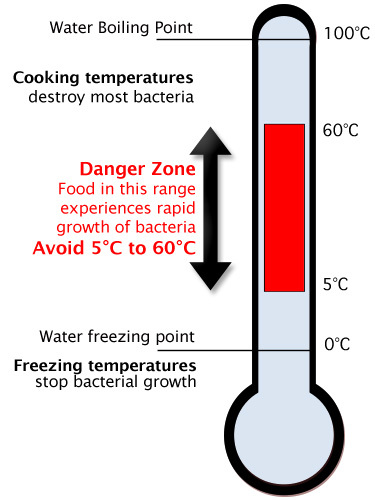 The Australian & New Zealand Food Standards Code states that if you are receiving, storing, processing (including defrosting and preparing), cooling, reheating, displaying or transporting potentially hazardous foods then you must be able to prove that you have not exposed the food to this critical “Danger Zone” temperature range for too long. What is the Danger Zone? 5°C to 60°C has been specified as the danger zone for food. This is the range in which micro-biological growth can occur quickly. If food is left too long within this temperature range then potentially deadly micro-organisms can grow. Heating food above 60°C will kill most micro-organisms. It will not, however,remove the toxins that may have been introduced. Cooling food to below 5°C will almost stop the growth of micro-organisms. What is defined as “potentially hazardous” food? Any food that may contain food poisoning bacteria are classed as “potentially hazardous”. They include meat, dairy products, seafood, processed fruits and vegetables (including salads), cooked rice and pasta, foods containing eggs, nuts and other protein rich foods, and items that contain these foods (e.g. sandwiches). A food business must, when transporting food, transport potentially hazardous food under temperature control. Time, Temperature, Food & You. 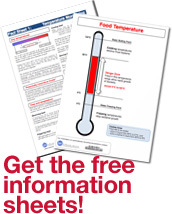 If receiving hot, cold or frozen food then it must be at the required temperature when you receive it. If it is outside the temperature range then you have no idea how long it has been too warm / cold and it should be rejected. If it has travelled a short distance and you know it was correctly stored by the sender then it may be acceptable (seek additional advice). Take small quantities of food out of the fridge at any one time, and replace them as soon as possible. The shape and size of the container will play an important part in this. Avoid large containers if possible. Also flat containers are better than square block shapes. Consider cutting large chunks of meat into smaller chunks. Also, if the fridge is at 5°C then it is impossible to meet these time frames. 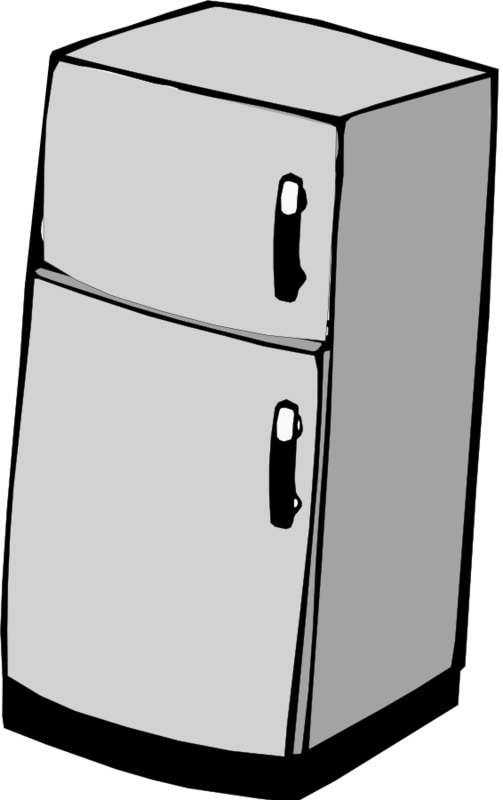 The fridge must be cooler than 5°C for the food to drop below 5° on time. If food is to be served between 5°C and 60°C (e.g. at room temperature) then warm it up as close to being served as possible. Have procedures in place that allow you to know when food was brought out. 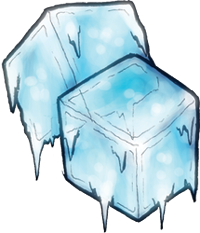 A food business must, when storing potentially hazardous food, store it under temperature control. Every kitchen needs a probe thermometer to monitor temperature inside dishes. Infra-red guns make it very easy to measure external temperatures but don’t necessarily provide an accurate indication of the internal temperature. 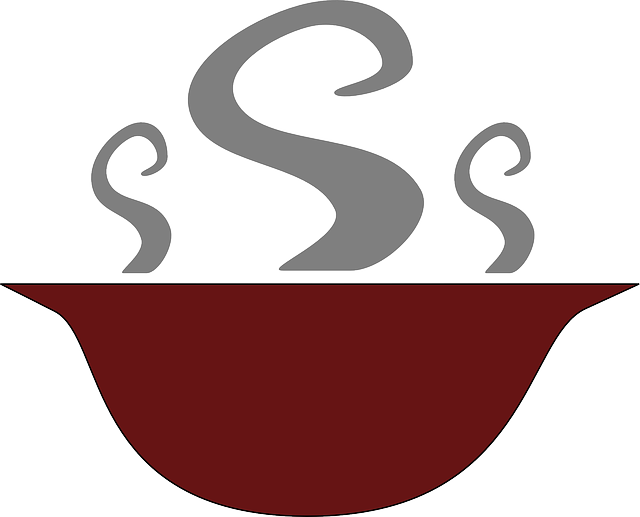 A food business must, at food premises where potentially hazardous food is handled, have a temperature measuring device that is readily accessible and can accurately measure the temperature of potentially hazardous food to +/- 1ºC. 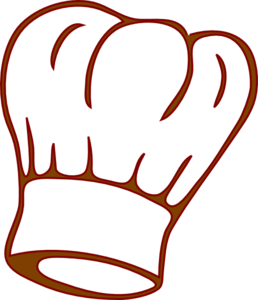 Thermometers should also be kept where ever potentially hazardous foods are stored. Temperature Loggers are perfect for the food and hospitality industry. These inexpensive and highly accurate devices allow for automated logging in a variety of situations, such as in fridges, storage areas, and kitchens. Fully automated loggers are available that will automatically do remote monitoring of your sites and send alarm notifications directly to you as soon as a problem occurs. 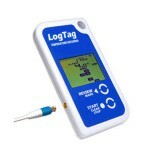 There are a variety of temperature loggers available. This guide explains below the features of the most useful devices for the food and hospitality industries. Temperature monitoring and logging has never been this easy. Our wireless temperature loggers can be placed anywhere, and they wirelessly and automatically send notifications back to the cloud, to alert you of anything that has gone wrong. Temperature loggers give you the ability to monitor an item even when it is outside your control and to identify when problems occur. They work 24 hours a day, 7 days a week. Have Questions? The OnSolution Experts are here to help! If you have any questions about food temperature safety or our range of Temperature Loggers for the Food and Hospitality Industries, please email us and we will be able to assist you.